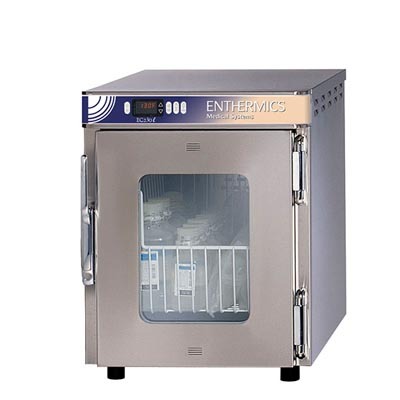 EC340L Fluid Warming Cabinet - J.D. 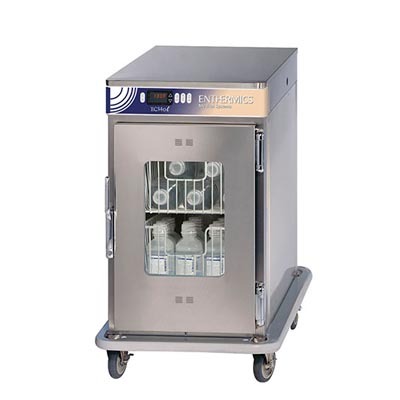 Honigberg International, Inc.
Use the mobile, durable and affordable EC340L fluid warmer to maintain normothermia throughout the entire procedure. Patient warming is so much more than providing comfort during an uncertain medical crisis – keeping patients warm aids in the recovery process and reduces surgical site infection risks. 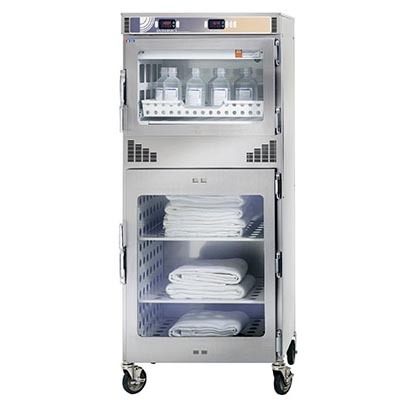 Ensure all fluids are safely warmed to the recommended temperatures with the Titan Series, which is engineered and tested for years of hard work and reliable service. 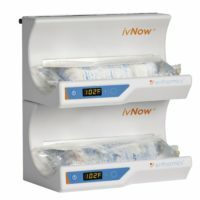 Ensure each bag is safely warmed using WarmRight® technology, which provides the right temperature for the right product to meet healthcare guidelines for IV and irrigation fluids.With the optional WarmWatch™ fluid monitoring system, track and analyze reliable temperature data througout the life of the warmer. Convenient: This countertop model can be used on the floor with optional, heavy-duty casters. Heavy Duty: Cabinets are built for years of worry-free service. Locked Handles: Keep fluids safe and free from tampering with this keyless security option. 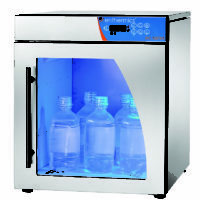 Insulated Glass Door: The glass window allows staff to take an immediate inventory of the amount of warmed fluid available. Stackable: Stacks with EC340l fluid warmers.